Our artist of the month for March 2017 is a London based trio that has touched lives wherever they’ve gone. Their fans swear by them, and always jump at the opportunity to ‘Push The Button’. They’ve been to India many times in the past, and are set to come to India yet again this month for a very special tour. In case you’re still wondering, our AOTM for March 2017 are the trio behind iconic music labels Anjunabeats and Anjunadeep, and of course the iconic radio shows: then ‘Trance Around The World’, now ‘Group Therapy Radio’ – Above & Beyond! 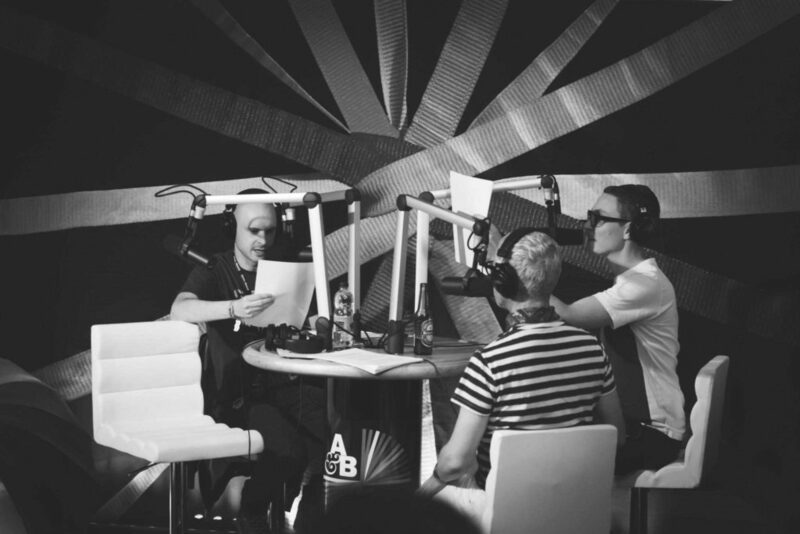 Jono and Paavo met at the University of Westminster in London, and having discovered their common love for music, decided to collaborate, to make some electronic music, and thus, Anjunabeats was born in 1999. Their debut track ‘Volume One’ received support from DJs like Pete Tong, Paul Oakenfold and Paul van Dyk. Tony, with Warner Brother Music at the time, came to know about the duo through his brother, and brought them in to help him complete a remix of “Home” by Chakra. That was the first release under the ‘Above & Beyond’ name. Remixes for Aurora, Fragma and Adamski followed. Above & Beyond’s first DJ performance came in 2002 in Tokyo, alongside Ferry Corsten and Tiesto. As their popularity grew, they started making appearances at festivals like Creamfields and Glastonbury, even playing at clubs like Amnesia in Ibiza. 2004 turned out to be a landmark year for the trio as they released two superhit tracks, “No One On Earth” featuring Zoe Johnston, and “Satellite” through their vocal group Oceanlab. 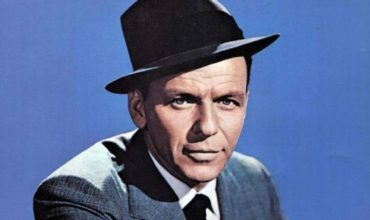 They subsequently released their debut album ‘Tri-State’ in 2006, and the album went on to get very good reviews. 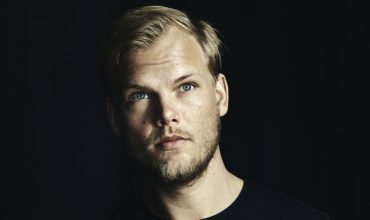 Some popular singles from the album were “Air For Life” which won Tune of The Year (2005) voted by the listeners of Armin van Buuren’s A State of Trance radio show, and “Good For Me” featuring Zoe Johnston which won “Tune of The Year” for 2006. 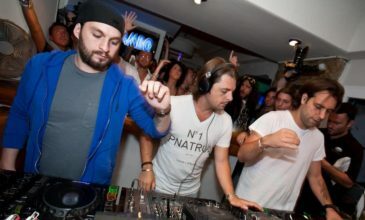 In 2007, the trio featured in the Top 10 of the DJ Mag Poll, coming in at number 6, and the following year taking the number 4 spot, retaining it in 2009, and then falling to number 5 in 2010 and 2011. In December 2007, they reportedly played for a million people at an unofficial show in Rio de Janeiro, and in 2009 they played at the official launch of Virgin Galactic’s SpaceShipTwo, in the Mojave Desert and hosted by Sir Richard Branson and attended by Arnold Schwarzenegger. Above & Beyond’s track “Buzz” was the official track for the unveiling of the spaceship. In 2010, Above & Beyond released one of their most successful singles “Thing Called Love”. The track was a part of their second studio album “Group Therapy”, which was released in 2011. Group Therapy also featured tracks like “Alchemy”, “Love Is Not Enough”, and their most successful track to date “Sun and Moon”. “Sun and Moon” was recently named as the Number 1 ‘Saddest’ dance music track of all time by Billboard. Later, in 2012 Above & Beyond embarked on its ‘Group Therapy World Tour’ playing at various locations ranging from Hawaii to places in Asia and Australia. 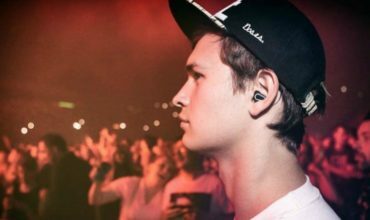 In 2013, along with the usual music festival shows at Ultra, EDC and Tomorrowland, Above & Beyond played acoustic shows in London and Los Angeles, featuring Zoe Johnston, Alex Vargas, and even Skrillex as a special guest. 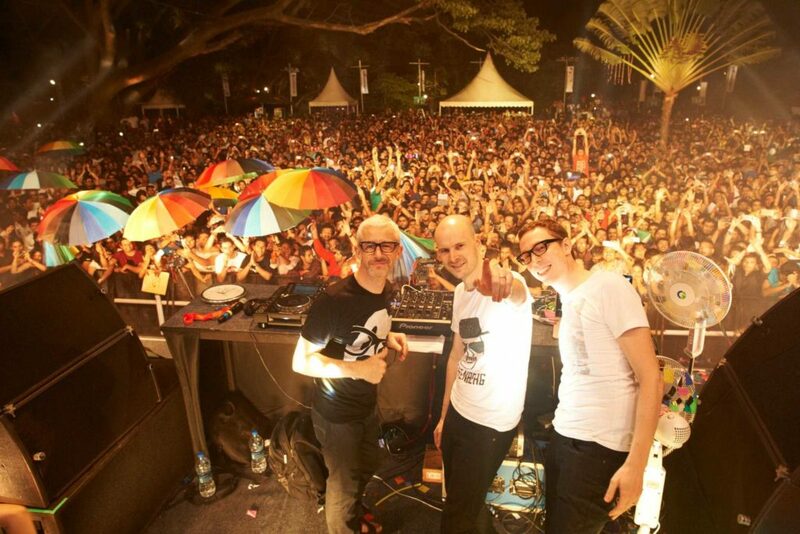 After celebrating several milestones with TATW (Trance Around The World) in Moscow, Miami and Beirut, 2012 saw Above & Beyond call time on Trance Around The World, as they launched their new radio show Group Therapy at a spectacular live broadcast event at Jayamahal Palace in Bangalore, India. 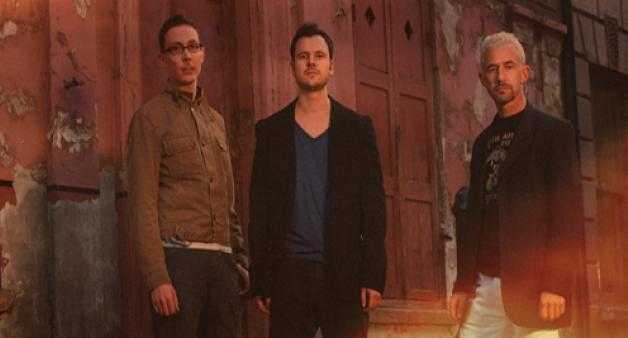 There was a special 6 hour live broadcast to celebrate 50 episodes of Group Therapy at the Alexandra Palace in London. The 100th episode was celebrated the following year with a live broadcast at Madison Square Garden in New York. Ilan Bluestone, Mat Zo and Andrew Bayer also played at the show. The night before the show, Above & Beyond released the official video for their latest track “We Are All We Need”, at Time Square. Following the two acoustic shows, Above & Beyond released an album titled ‘Acoustic’, along with a DVD of the concert in London. Subsequently, ‘Acoustic 2’ released in June last year. Above & Beyond also released another studio album titled ‘We Are All We Need’ in 2015. The trio have had their ‘Essential Mix’ voted as the Essential Mix of The Year on two occasions – in 2004 and 2011. 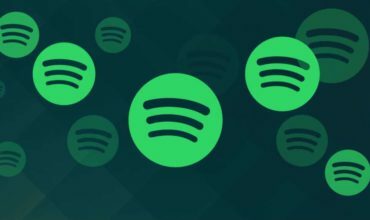 They remain the only artists to have done it twice. Last year, they were nominated for a Grammy award under the ‘Best Dance Recording’ category, for “We’re All We Need”. While the trio have been to India plenty of times in the past, their return this March marks a very special occasion as Above & Beyond will be embarking on a 3-city Holi tour. The tour will take place during the Holi weekend (11,12,13 March 2017) and the cities to get pampered are Hyderabad, Bangalore & Mumbai. More information here. For Holi Reloaded organized by Plus 91, Mumbai, click here. 20 year old Finance student with a keen interest in writing about EDM and a religious follower of movies and sports. Hey Buddy!, I found this information for you: "Artist Of The Month For March 2017 – Above & Beyond". Here is the website link: https://themusicessentials.com/editorials/artist-month-march-2017-beyond/. Thank you.